Amazon finally put all speculations to rest by launching their long awaited Amazon prime video service. 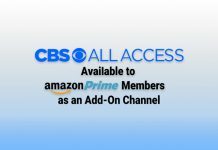 Now, with an active Amazon prime membership, you can have unlimited access to video downloads and live streaming subscriptions from some of your favorite channels like Showtime and Starz. So, what should Amazon account holders expect from the freshly launched Amazon video streaming service? Amazon prime video is now an added feature of Amazon Prime accounts. Any consumer with an Amazon Prime account has the freedom to access an unlimited number of free videos by subscribing to any of the channels supported on Prime video. Apart from the 5,000 plus movies and live TV shows that are readily available on Amazon prime, account holders get some extra benefits from this new subscription. Where is Prime Video Available? Existing Amazon prime subscribers on trial accounts. Those holding trial or paid six-month Amazon Prime student accounts. Amazon prime subscribers enjoying the shared benefits on Amazon Household. Non-Amazon Prime subscribers living in the U.S. can sign up for free trial accounts. You need to set up an Amazon Prime membership as a paid subscriber. Here are a few types of subscription options. If you just want to test out the service, you can go for the 30-day trial subscription. As a student, you can first open an Amazon student membership account, paid monthly or yearly. Or, just start a free student account trial. You can also do an Amazon prime free preview, open a paid Amazon prime fresh account or the 30-day free trial of the same. You can also activate your Amazon household shared benefits. Once you have an account, you decide which of the available video channels you want to subscribe to. However, access to Amazon Prime channel subscriptions will be barred to those who just joined the shipping benefits shared by an Amazon Household member. In addition, you cannot share your channel subscriptions with other Amazon accounts as an Amazon Household benefit. Amazon has made this clear through their prime video channel subscription policy. Remember, Amazon channel subscriptions is only available to Amazon prime subscribers residing in the United States. In addition, Amazon prime video policies will vary across the U.S. states. Some states may charge a sales tax on your channel subscription. Thus, you may be required to pay subscription fees to access Amazon prime video channels. Amazon prime video will display the subscription channels into distinct categories and filters. You will use these categories and filters to browse through Amazon video catalog to find the video content you want to watch. Once you select a specific channel, TV show, or video, Amazon prime video will display suggestions to channels that may be airing similar content. You will also be provided with the viewing options available or purchase offers to download and save the specific video you watch. Once you get to your favorite channel, all you have to do is hit subscribe and start watching your favorite shows. New Amazon prime account holders will be prompted to confirm their subscription details; whether they are on a paid or free trial subscription. Some media devices do not allow instant subscription through the Amazon Prime app, thus you will be directed to the browser version of the subscription page. You can find additional information about how to subscribe to Amazon prime video channels by visiting the Amazon Prime video website. How can you watch Amazon Prime Videos? 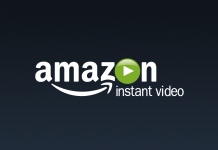 Amazon Prime account holders can watch Amazon prime videos in the U.S. as well as when traveling abroad. Video can be streamed on a number of supported devices. Or any other IOS device with video streaming capabilities. You can watch Amazon Prime videos by clicking on them. After this you will be prompted to start your free trial or directly subscribe to a paid service as a new Amazon Prime user. Fortunately, many of the videos and TV channels are offered free on the trial version. This is great because it lets you sample the content first before committing to the monthly post-paid plan. Certain videos can only be accessed by signing up on the Amazon website. Such videos will not be made available when subscribing from a device or the Amazon video app. Therefore, before you decide whether you want a trial or paid subscription, confirm that the specific video title you want is offered on either plan. You can do this by visiting the video subscription section on your Amazon Prime account. Viewing Outside of the U.S. When traveling abroad, you can watch Amazon Prime videos anytime by accessing the “Watch While Abroad” option on Amazon Video. This feature allows you to see available subscription titles you can stream while abroad. 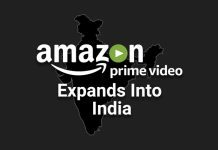 Some Amazon subscription titles are exclusive to U.S. viewing and will not be aired in other countries. So how can you still view your favorite videos offered only in the U.S.? One of the best available options is to download the videos directly to your device for offline playback. However, some devices may not support the download option. Therefore, it is important to read the Prime video download guide to determine the type of videos on Amazon prime that you can download for offline viewing. To directly download an Amazon title to your portable device, you first have to be an Amazon Prime video subscriber or account holder. This will give you access to all the videos and TV shows available for offline playback on your device. After you confirm your membership, click on the specific video you want to view later and see if there is a download option in the details provided. Ensure you are connected to Wi-Fi or have enough data before tapping on the “Download” button. For TV shows, click on the channel then hover to the specific episode you want to download. Once the download is complete, a “Download” icon will display on the video details confirming the download completion. Alternatively, click on the download option in the video menu to see all the videos that have successfully downloaded. Can you watch Amazon Prime videos live? Live streaming is another added advantage of signing up to Amazon prime video. Popular TV channels like Starz or HBO support live streaming, which means that you can watch a movie or episode the same it is airing on Cable TV. 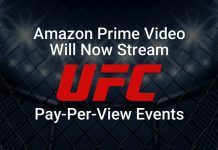 You can discover which channel subscriptions provide live streaming by visiting Amazon prime video live streaming channels. If you want to share your favorite movie or TV show with your friends or family, you can do so using the Amazon Household feature. Amazon Household benefits can only be shared with Amazon Prime account holders or Prime video members. With this feature, each individual gets to keep their own account while they both enjoy the benefits provided by the Amazon Household platform. Amazon household allows you to access additional features of the Amazon subscription including Family Vault and Twitch Prime. Family Vault is a cloud platform that allows all Amazon Prime subscribers to share and save photos of their best family moments. It is shared by a maximum of 5 people who can view and download any of the shared photos. One of the best features of Amazon Family Vault is that private photos saved to your Amazon account cannot be accessed by anyone until you choose to share them. Twitch Prime is an Amazon Prime platform exclusively available to the gaming community. Members have access to various benefits including private online chat icons and ad-free video viewing. They also get unlimited access to free games, cheat-codes, game loot and free channel subscriptions. Furthermore, the platform supports a maximum of four user accounts and is available for both Amazon Student and Amazon Prime accounts. How much are you charged for Amazon Prime Video subscription? The standard charge for Amazon Prime video subscriptions is $8.99 per month or about $80 a year. If you are on a 30-day trial subscription, your Amazon account will be debited if you do not cancel your subscription by the end of the trial period. This monthly charge takes care of all Prime video subscriptions and benefits. However, the monthly charge is only limited to features that come with Amazon Prime video subscription. Any other subscription on your Amazon Prime account, not related to Prime Video, will be charged separately. The Amazon Prime Video monthly charge does not cover benefits provided with Amazon Prime. This includes free two-day shipping or books borrowed on Kindle Lending Library; these are likely to be catered for by your Amazon Household benefits. Can you cancel your Amazon Prime video subscription? If you don’t want a paid Amazon Prime account by the end of your free trial, simply cancel your subscription. Existing Amazon Prime video members can also cancel their subscription whenever they wish. Cancelling your video streaming subscription will not attract any additional cost to your Amazon Prime account. If you’re on the paid Amazon Prime Video service but did not stream any content for the month, you are eligible for a refund. If you are streaming Amazon video on your smart TV, cancellation of your subscription will not affect your other cable subscription plans. However, canceling your subscription at the end of the month will still attract a monthly fee if you decide to opt out of your subscription after the billing date. Some devices do not support the sign in option but provide a security code to access the Amazon Prime video account. This security code will be provided via a phone call, email, or text. The instructions for entering the sign in code should be straightforward. However, if you need additional information about using your sign-in code, you can learn more about it on the MyTV section of your Amazon Prime account. There is a simple way to sign out a device and remove it from the list of registered devices. Go to the official Amazon website and access the Amazon Video settings. Click on “Registered Devices” and scroll to the specific device you want to sign out. Find the “Deregister” link next to the listed device. Click the link to sign out that device from your Amazon Prime account. You may also access this feature from the Amazon video app depending on the mobile device you have. You may experience various technical problems while streaming your favorite TV show or downloading a movie. Here are some possible problems you are likely to encounter and effective ways to solve them. First check and ensure the specific subscription title is allowed in your current location. Due to licensing policies, some Amazon Prime Video titles will only be viewed in the U.S.
Secondly, check your membership status to ensure it is still active; you can check your current Amazon Prime subscription status by logging in to your account on the Internet. Amazon Prime will also give you a pop alert if your membership is not active. Thirdly, check that the device being used is registered to your Amazon Prime Account. If you signed out of your account on that device, you can always sign back in by following the Amazon video sign in procedure. If you are unable to download any movie or TV show subscribed on your Prime video account, there are ways to get around this. First check the membership plan on your Amazon account. Video downloads are only available to those on paid Amazon subscription service and not the trial service. Secondly, check your location. Some subscription titles will not download to your device if you live abroad due to licensing policies. Thirdly, make sure your device is currently connected to Wi-Fi or reliable data connection. For IOS devices, go to settings, click on cellular, and check whether the Amazon app is allowed access to your cellular data. Sometimes you may experience issues signing in or out of your Amazon Prime account from different devices. When this happens, there are two things you can do to correct the problem. Go through your account information and ensure the details match the information entered on the primary device you use to access Amazon Prime video. Ensure the current device you are accessing Amazon Prime video with is among the list of devices registered to your account. You can do this by going to your Amazon prime video settings and clicking on “Registered Devices”. If your current device is not listed, click on the “Register Your Device” option to add it to the list. You can only register a new device by signing into the official Amazon website. In conclusion, over the past few years, Amazon has become a household name. They are innovators in the retail arena and they are applying their talents to streaming services with Amazon Prime Video. Amazon Prime video is a new service offered by the global online retailer. Through this video streaming service, new and existing Amazon Prime account holders can access videos and TV channels on multiple devices. 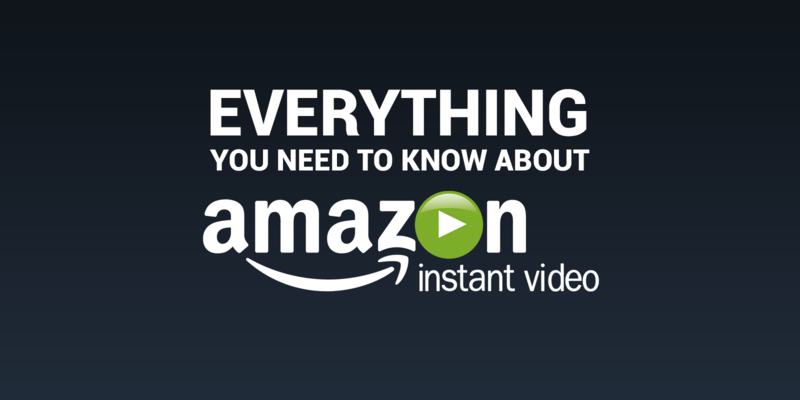 It is important to understand how Amazon Prime video works before subscribing to the service. Hopefully, you learned everything you need to know to decide if Amazon is the right service for you.